Jetpac, a gorgeous social travel application for iPad, has just scored $2.4 million in Series A funding from Khosla Ventures, Morado Venture Partners, Yahoo co-founder Jerry Yang and [redacted], a top Facebook exec. (Sorry, they won’t let us say). The company first debuted its iPad app in April of this year, which lets you browse and favorite travel photos taken by your friends on Facebook. Alongside today’s funding announcement, Jetpac is also releasing a brand-new version of its app which introduces a feature called “Atlas” as a better way to navigate through friends’ photos. But what makes Jetpac stand out from a consumer perspective is its design and simplicity. The app aggregates photos from Facebook and automatically locates where they’re from – even if they’re not geo-taggged. Using a combination of humans and trained algorithms, Jetpac also curates the photos it pulls, so that only the top 10% in terms of quality are selected. That’s Jetpac’s backend advantage. 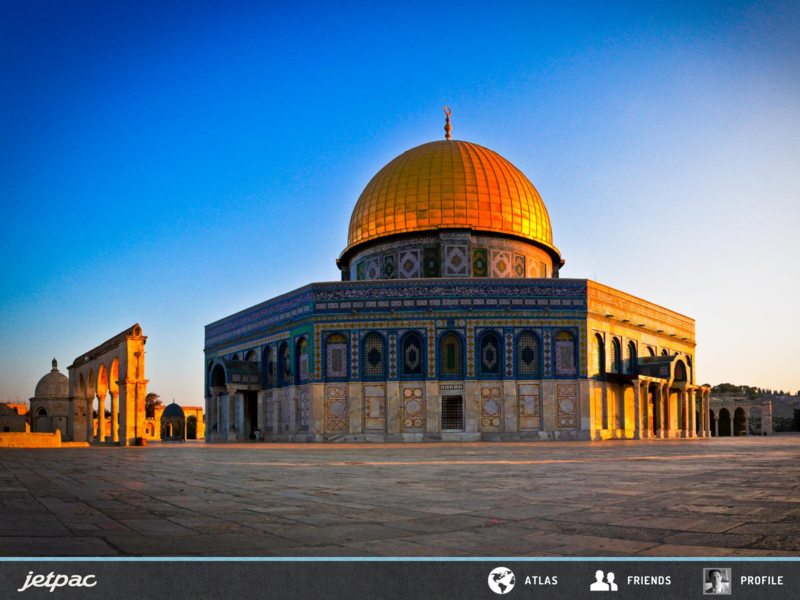 To date, Jetpac has indexed over 750 million Facebook photos. A lot, yes, but it’s only a small percentage of the some 150 billion on Facebook. Plus, as JetPac CEO Julian Green tells me, around half of the photos on Facebook could be considered “travel” photos, if you also include photos taken around town (i.e.,”local travel.”) So there’s plenty of room for Jetpac to grow, it seems. 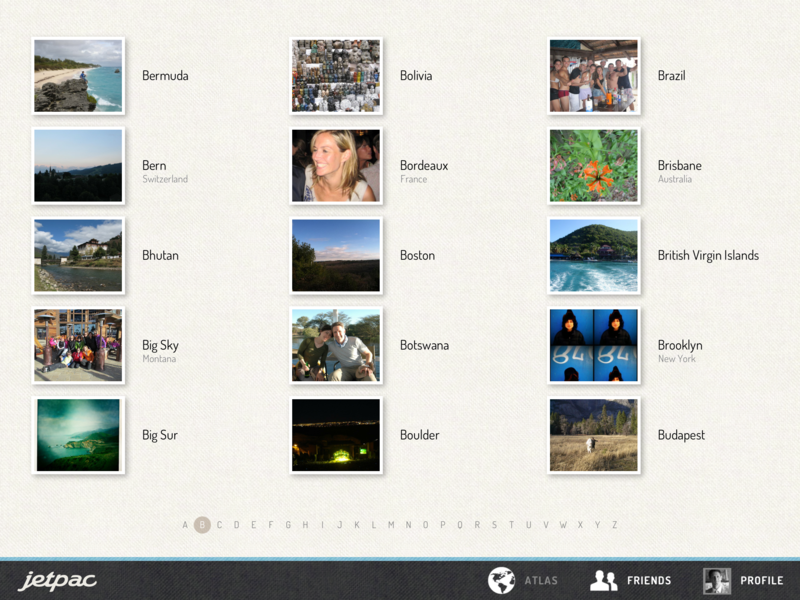 With the updated iPad app, JetPac introduces “Atlas,” a list of cities where your friends have been, as well as a list of friends who have shared travel photos in the past. This allows you to use the app for more purposeful searching, instead of just serendipitous discovery, as in the past. As for its usefulness when your trip is complete? Green says that people “want to look at friends’ travel photos all the time,” not just when they’re traveling themselves. Accordingly, he says that users average 18 actions (love, “want to go,” etc.) per session and browse through around 80 photos on a single visit. The average session time is hovering around four minutes, he says, and people return at least a couple of times to the app after first use. Some go much longer – 30+ minute session times, and thousands of photos viewed. With the new funding, Jetpac plans to hire developers and designers and introduce a few more features users have requested – namely the ability to communicate with friends and ask for advice. The updated app is rolling out today, and is available in iTunes here.